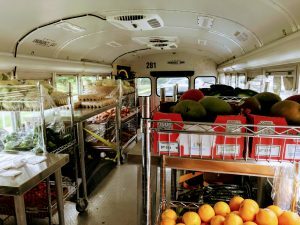 Meet “Manny”, the Manna Mobile Kitchen & Pop-Up Pantry! Manna Food Center launched this new component of community food education programming and food distribution last September. Since then, we’ve been changing the way people eat in Montgomery County, MD for the better! 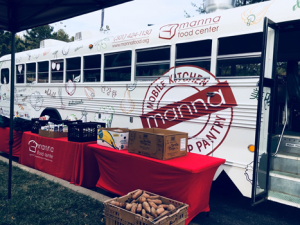 Manna’s Mobile Kitchen and Pop-Up Pantry is currently looking for partnerships in the 2019 season. 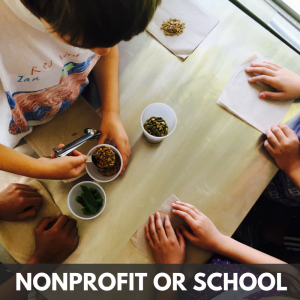 We’d love to collaborate with your organization to bring cooking/nutrition classes and food distribution support directly to your community! 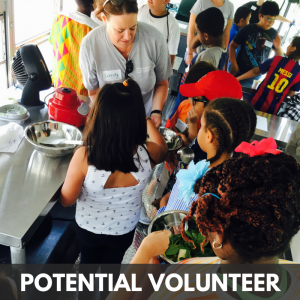 Click here to speak with our Program Coordinator and schedule the Mobile Kitchen. 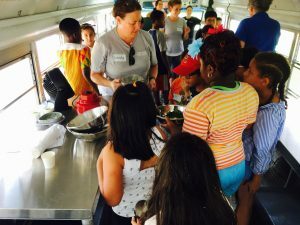 Manny the Mobile Kitchen and Pop-Up Pantry serves two separate functions, as a classroom to teach general nutrition principles through cooking, and as a food distribution vehicle. Please read below to find out more about these individual functions. 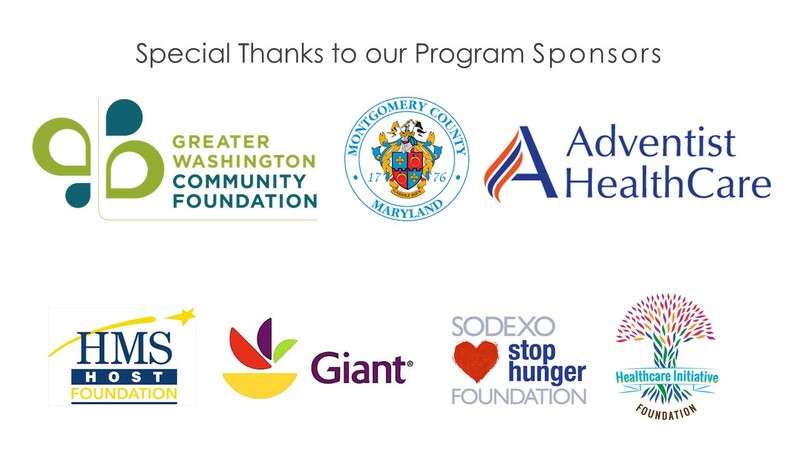 Here at Manna, we are determined to make healthy eating accessible for all residents of Montgomery County. We can fit up to 12 adults/seniors or 16 children on the bus at one time for a lesson. If your group is larger, we’d be happy to rotate through participants, stay at your location until we reach every individual, or revisit your site multiple times to adequately serve your group. Manna provides the lessons, volunteers, and cooking demonstration food. Click here to request our Mobile Kitchen offered by Manna Food Center. Mobile Kitchen classes run from March to November, Monday through Wednesday from 8am to 3pm, and Thursday from 8am to 12pm. Scheduling preference is given to groups that request back-to-back recurring classes. Interested in any of our other Nutrition Education Opportunities? Please click here to find out more. In addition to classes, we offer Pop-Up Pantries with the same vehicle. These mobile pantries consist of a partial food distribution for up to 50 families that are food-insecure in Montgomery County. We aim to provide both fresh produce and shelf-stable items through these distributions. 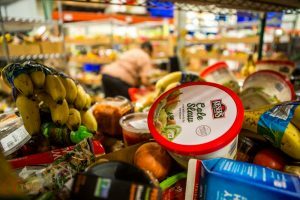 If you know of a group of individuals that could benefit from food assistance, or would like us to provide this service at your location please click here to place a Pop-Up Pantry request. 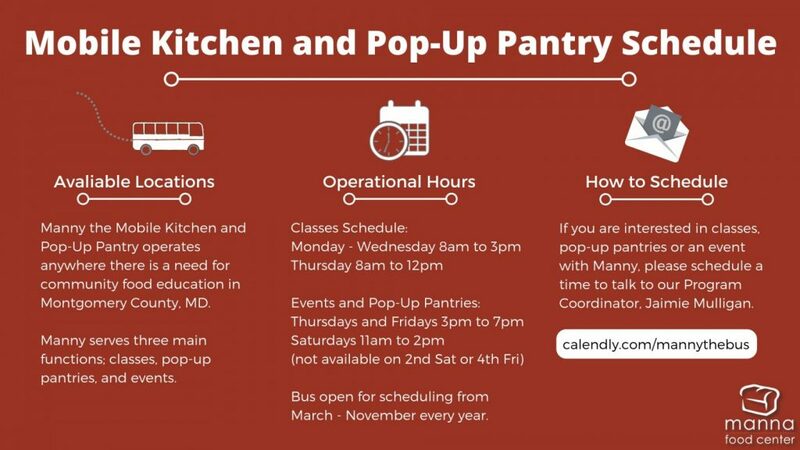 Pop-Up Pantries are generally available March through November from 3:00pm to 7:00pm Thursdays and Fridays, and from 11am to 2pm on Saturdays, excluding the 4th Friday and the 2nd Saturday of each month. 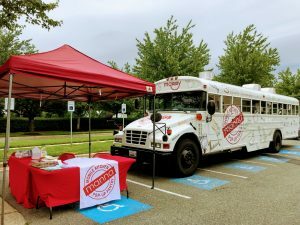 Would you like Manny, the Mobile Kitchen and Pop-Up Pantry Vehicle to make an appearance at your next community event? We are able to accommodate a variety of event requests, including health fairs, school meet and greets, and donor-driven events. Please click here to place an event request. Event time slots are generally available March through November from 3:00pm to 7:00pm Thursdays and Fridays, and from 11am to 2pm on Saturdays, excluding the 4th Friday and the 2nd Saturday of each month. What is Manny? Manny is the nickname of the new Manna Mobile Kitchen & Pop-Up Pantry (MMK). 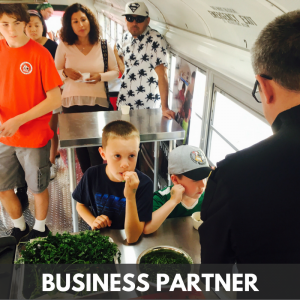 The MMK is a transformed school bus that will act as a cooking classroom for all ages. With Manny, we can bring hands-on cooking education to children, their parents, and seniors. The bus will also be used for targeted food distribution in areas with limited food access. Why a Mobile Kitchen? 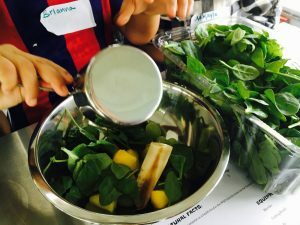 We know from Montgomery County’s Food Security Plan that along with financial barriers, transportation and a lack of food preparation knowledge are common factors in our community that prevent families from eating a healthful diet. 70% of County adults do not meet the recommended number of daily vegetable servings. The MMK is a program designed to tackle two barriers at once by bringing nutritious foods and cooking skills to our community. This school year the MMK will offer educational opportunities to some of the 30,000 elementary school students in the Montgomery County Public Schools eligible for free and reduced meals. 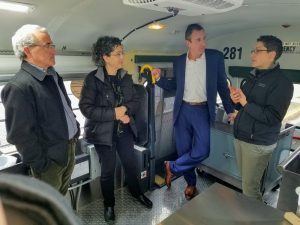 Our culinary classroom on wheels is an innovative solution to increase access to nutrition education and nutritious foods in Montgomery County. How is Manny used? The MMK is an extension of Manna’s focus on innovative, participant-centered approaches to eliminating hunger. 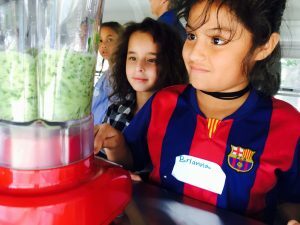 Programming will encourage increased fruit and vegetable consumption, greater acceptance of new, nutritious foods, and encourage lifelong skills like math and teamwork. 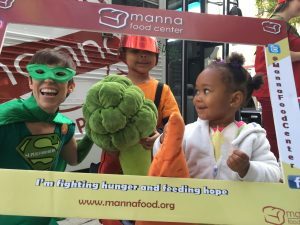 The MMK will combine food distribution with nutrition education in a unique and eye-catching way, creating a community space that draws new people into Manna’s community engagement and advocacy activities. Where does Manny travel? Our participants often faced transportation barriers to accessing licensed community kitchens where Manna taught classes in the past. We will travel to high-need schools and apartment complexes to teach youth, seniors, and adults at risk of food insecurity. How can I get involved? As an innovative new program, the Manna Mobile Kitchen depends on generous support from the community to fund outreach and programming. Please consider designating your donation to the MMK here. For other ways to get involved see below.